One Cornish business that has previously benefited from British Business Bank investment is Rocket Gardens. 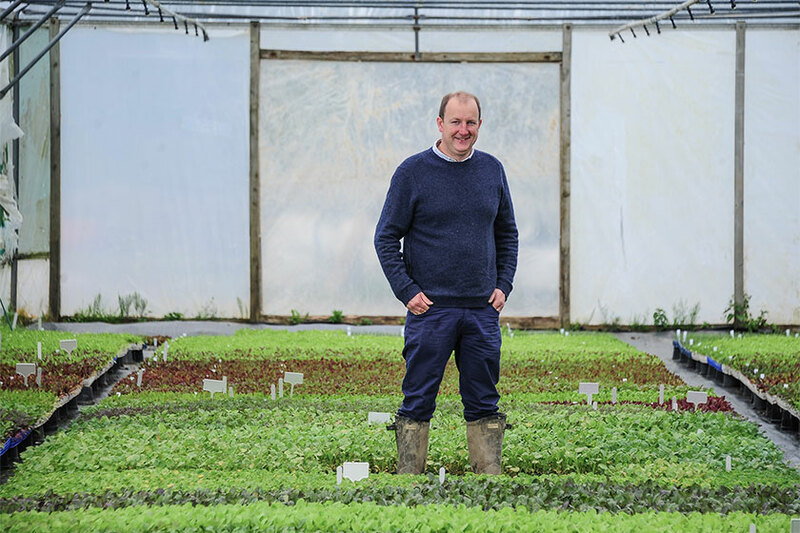 The Helston-based family business sells boxes of young organic plants, ready to be grown in gardens, window boxes, raised beds or allotments. The idea is to make it easier for anyone to grow their own vegetables. Like many young businesses without a trading track record, Rocket Gardens initially struggled to get the finance it needed for growth. An important aim of the new £40m Cornwall & Isles of Scilly Investment Fund is to tackle this issue, as well as providing equity. Thanks to a start-up loan from the British Business Bank, Rocket Gardens focused on improving the growing facilities on its 125-acre site, and digitising the business. This has allowed it to scale up its operation and better meet the needs of its growing customer base. Founder Mike Kitchen was inspired by TV classic The Good Life when he started growing vegetables to feed his family in 2005. Discovering how difficult it was to nurture plants through the first stages of growth, he saw the potential to supply other amateur gardeners with small plug plants. Rocket Gardens now sells more than one million plants a year to around 15,000 customers across the UK and has attracted endorsements from Hugh Fearnley Wittingstall and Alan Titchmarsh. Customers buy online or through mail order and receive boxes of seasonal young organic plants ready to be planted in gardens, window boxes, raised beds or allotments. As well as supplying ready-made organic vegetable, herb, fruit and flower ‘gardens’, the business provides vegetable patch boxes to schools. Mike says: “We have always focused on growing Rocket Gardens through revenues, but there have been periods when we’ve needed more investment to take the business to the next stage. As a young company, we found we were unable to secure conventional business funding, especially launching during the recession. “Many rural businesses like ours need investment to improve their infrastructure. Unless you can provide a high level of security, which most start-ups cannot do, the options are really limited. The Cornwall & Isles of Scilly Investment Fund is great news for Cornwall and will fill a niche for businesses like ours.